So you're completely insane a road warrior and you insist on cycling to work in the worst weather. It makes you feel alive to dodge the cars, ice and slush. Or whatever insanity you tell yourself to ride a bike in -27 Celcius. 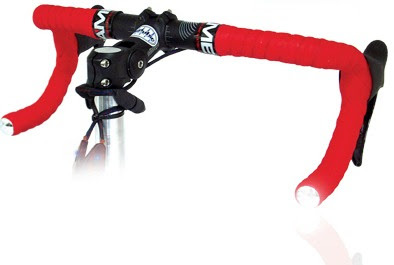 Battery-operated grips for BMX, mountain, or road bikes. 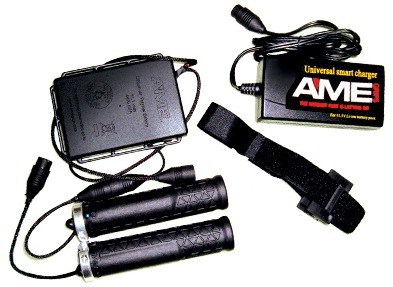 Full kit will cost about $130 including battery charger. Push button, 6 temperature settings. This one doesn't have a price listed but let's pretend it's about the same.